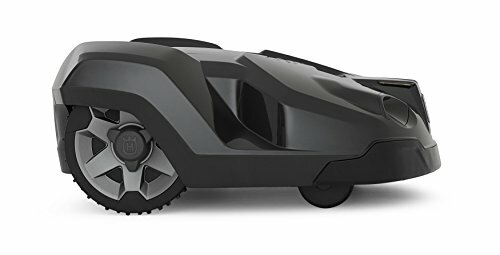 The 430X Automower is one of Husqvarna’s biggest model, just falling short of the 450X Automower. Both models are very similar in that they share identical mowing and navigation features, it is only when you begin to look a little deeper that you begin to see the differences. 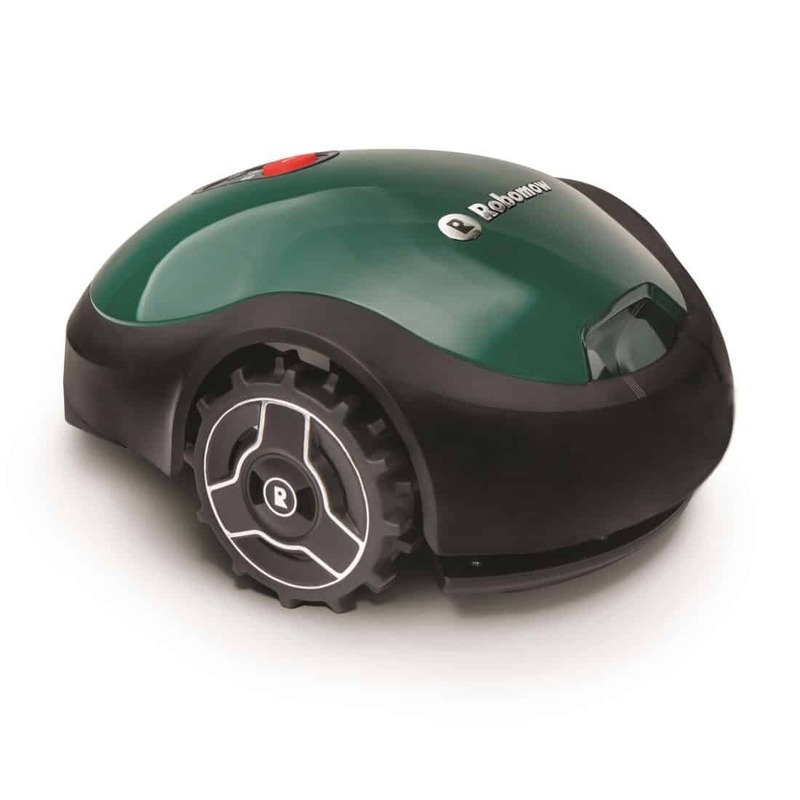 Husqvarna tends to have the most reliable and accurate robomowers around but this doesn’t mean they’re perfect for your garden. 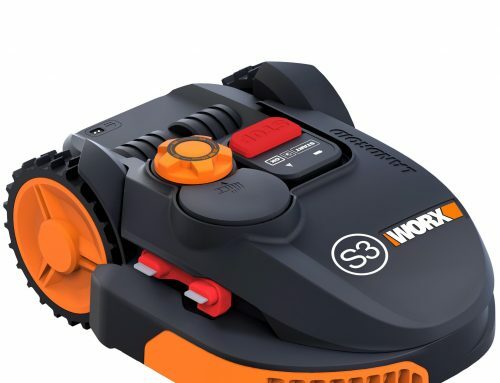 In this review I’ll be running through all of the 430Xs features, giving you my opinion on each and a recommendation at end for who I think the mower is best suited for. So if you really can’t be bothered mowing the lawn anymore then make sure to stick around! Covers Areas Reaching 3,200m² in Size. 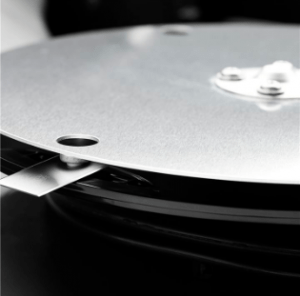 Underneath the 430X you’ll find 3 small, steel razor blades attached to one big pivoting disk. Even though the blades are screwed onto the disk, they aren’t fixed in place, instead they spin freely. This ensures they only have enough force to cut your grass and nothing else, preventing damage to anything that slips under the mower. This produces a much more even and clean cut compared to a large, singular blade, and is very lightweight so it won’t be any trouble for the 430X to carry around. Now you can’t say Husqvarna are being particularly innovative here, as it is used by most robomowers, but it’s good to know they have taken advantage of what clearly is very effective technology. To keep up with the changing growing conditions, say from spring to summer, Husqvarna have fitted a height adjustment feature in the 430X. You can cut from anywhere between 20-60mm, all with the touch of a button. Just log in through the control panel and make all your changes electronically. Just make sure you gradually reduce the cutting height instead of jumping to 20mm right from the get-go. A shorter cut will only mean longer clippings which, when left to lie out, can make your lawn look a bit unattractive. I know you don’t want that and it would be a waste of the 430Xs capabilities if you did so. Instead set it high. This gives the shorter pieces of grass a chance to catch up with the longer pieces, leading to a much more even lawn. Because the clippings the 430X takes are so small, in fact you’ll have trouble seeing them, they can drop all the way to the bottom of the soil. Here they will decompose into the ground and act as a natural fertiliser (or mulch), passing on nutrients and making soil much moister. This promotes better grass growth and overall better soil health, resulting in a greener and fuller looking lawn. This is an effective and eco-friendly way to fertilise your lawn, much better than using store bought chemicals. For those areas that are just a little overgrown, this feature is brilliant. When activated the 430X will mow in a spiral fashion, focusing all its power on one area, ensuring that it’s cut just as evenly as any other. All you need to do is place the robot on the desired area, choose ‘Spot Cutting’ Mode in the control panel and just let it go. Once it’s finished, it’ll get back to mowing the rest of your lawn automatically. A feature that is not only simple to use, but effective. The 430X is built to withstand challenging conditions most other models could not. It has a robust and tough exterior which prevent any cold and wet weather from damaging its electrical’s. But just because you can send it out whenever you want doesn’t mean you should. The mower itself will be fine, it’s just your lawn that might not. In times of poor weather, mowing may actually cause some damage. For example, in heavy rain the ground will be much softer which means it much more vulnerable to impressions, i.e. wheels tracks. If cold weather follows, these tracks could be left there for quite some time. I know you won’t want that so it better to just stay on the safe side and keep the mower in its docking station. Just like its body, the 430Xs wheels have also been designed to endure tougher experiences. They are larger than most Husqvarna models and are course-treaded so provide excellent traction. Allowing the mower to travel up slopes reaching 24° and run over slippery ground with ease. Making it perfect for wet weather and complex gardens. To maintain an area of 3,200m² effectively, the 430X must have a very efficient power system. 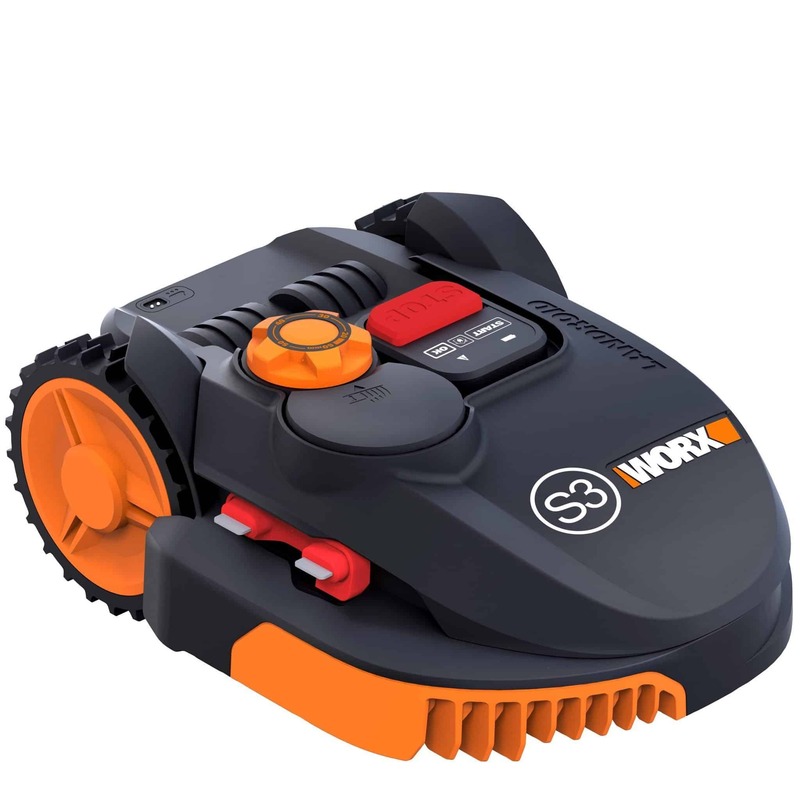 With the use of Lithium-ion battery and electric motor, the mower can produce 135 minutes of working time after only one charge. 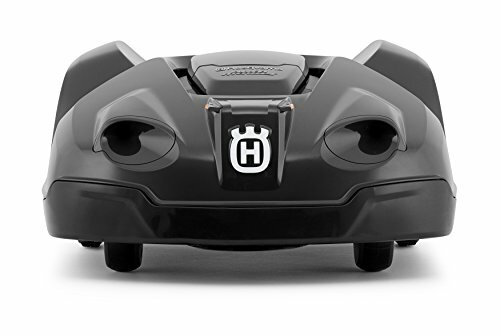 Considering this is over double its charging time (65 minutes), I think it’s safe to say Husqvarna have nailed it. 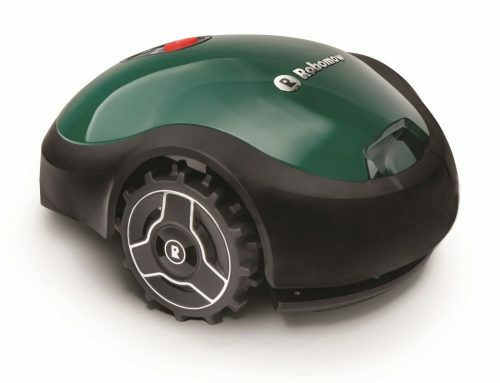 For robomowers of similar size, the charging and mowing time would be much higher than this (some over 100 minutes). So you would be left with an unmown lawn for quite some time. Now it’s not like this will make much of a difference, I mean the clippings are so small that you would hardly see them, but it does show how much better Husqvarna’s engineering is compared to other models. The 430X also works with a low energy consumption which keeps operational cost very low (I think it works out to about £30 for the entire season). 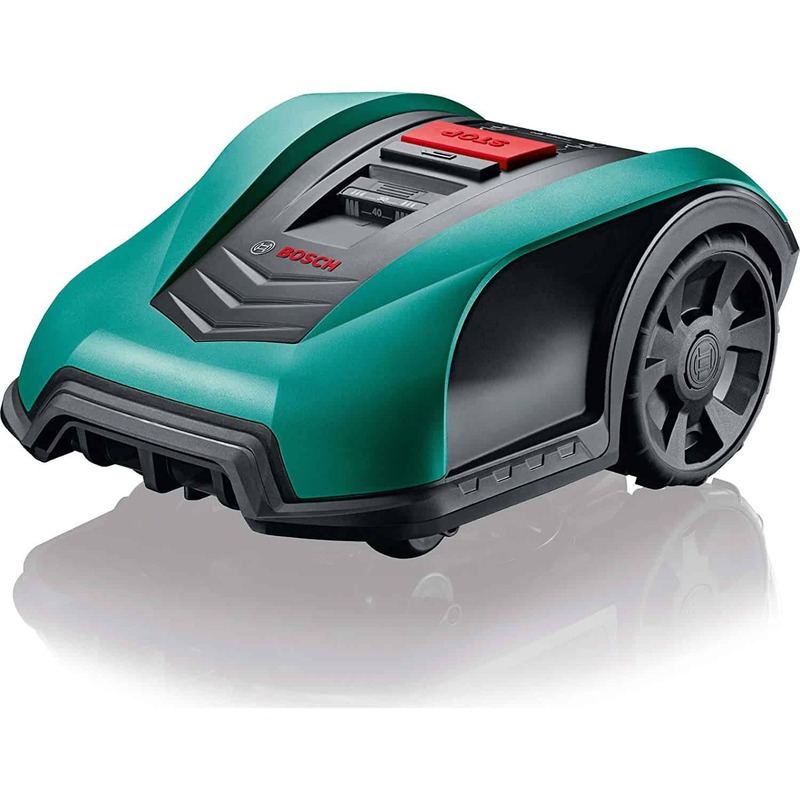 As the mower is electrically powered and charged, you can use with a completely clear conscious. It gives off zero emissions so having one of these instead of the conventional mower will only do a world of good. Also, as mentioned before, you won’t need to use any fertilisers because of the mowers mulching function.. Efficiently engineered, powerful and Eco-friendly, what more could you ask of a power system? Like all robomowers, the 430X uses a random cutting pattern to cover your garden. With the help of on-board sensors and the perimeter and guide wires, the mower will cut every single inch of your garden. 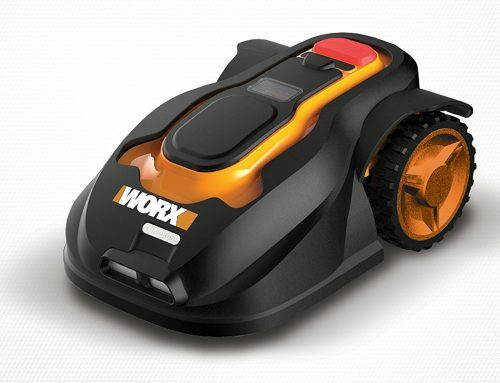 But for extra help with the more complex gardens, this mower comes with two guide wires instead of just one (to see how you would set these up, click this link). 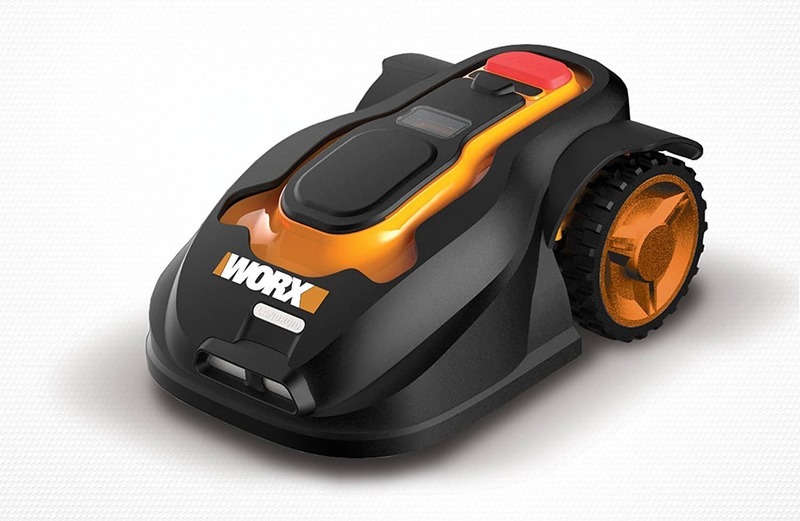 This reduces the amount of time the mower will take to find the docking station when it needs recharged so it can spent more time out on the lawn. To optimise the time spent out on your lawn, the 430X can actually create a map of your garden, including its perimeter wire and docking station. It’ll then recognise which areas it has already mowed and will then calculate a route to work around them. Therefore it’ll spend more time on the areas which actually need cut and less time on the areas that don’t. Again this is a feature which helps those with complex gardens. If your lawn has a few tight spaces here and there then don’t worry, the 430X can handle these with ease. Providing you have laid the perimeter wire around these areas, the mower will actually sense narrow passages before it reaches them. It will then make a quick calculation to find the best route for fitting through the gap. And to prevent it from getting into trouble in the future, it’ll will vary its route through these areas. For those with a busy lifestyle, this could be a lifesaver. It gives you everything you need to maintain and take control of your garden without actually being there. You can make the same changes as you could manually with the control panel and you’ll receive text alerts in case anything has gone wrong. There’s also a GeoFence tab which lets you see the mowers progress throughout the day. There are a couple of options to choose from; you can either use the line tracker which shows you the route the mower has followed so far; or you can use the heat map of the areas it has already covered. Both as just as effective as the other so it’s really up to you which one you prefer. To get this up and running there’s a few things you’ll need to do. 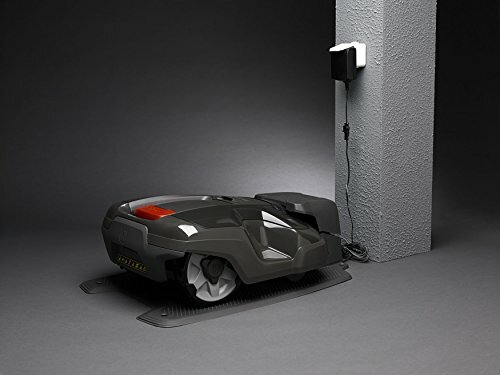 First you need to get the Husqvarna App sim card and plug it into your automower. Then download the Husqvarna App to your phone. You can either do this through the app store for iPhones or through the Google Play store for android users. To ensure complete safety to you, your children and pets, the 430X has several built-in safety features. Most are very similar to the majority of models out there so you’ll probably recognise them. 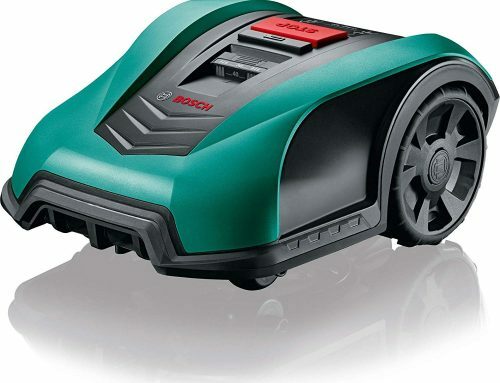 If at any point during mowing you attempt to pick up the 430X, or if for any reason it tips over, the cutting disk will automatically stop rotating, preventing any injuries to your hand. And as an extra precaution, the 430X has adequate space between its border and blades, leaving just enough room for your fingers. A PIN and alarm security system has been built-in to prevent operation by anyone unfamiliar with the controls. This should scare off the odd burglar who tries to chance his luck and will stop the kids trying to use it without your supervision. A very common but equally important and useful feature. You’ll also get notifications of any unusual activity sent to your phone through the app. When the 430X comes into contact with any object, its sensors automatically switch of its rotating disk to reduce any damage (even if only a little) to the blades. It will then turn round and continue to mow using a different route. Unless of course the object it small enough to slip under the mower. In this case it would glide over them without an issue. As I said before, you’ll receive text alerts if anything bad has happened to the mower – like if it has been tipped over. Which is really useful but that’s not all it can do. As well as monitor its progress, you can also track it if it’s ever stolen. So you’ll be able to find out exactly who was the thief. Even though I have focused on the 430Xs positive features for the majority of this review doesn’t mean there is nothing wrong with it. It does have a few, albeit minor, flaws that I thought I would make you aware of. There aren’t many so it’s nothing worth getting worked up about. Like all robomowers, this one can’t reach any grass outside of its perimeter wire so there will be a few areas of grass left untouched. This tends to be in places like beside steps, the sides of the house and along the fence. But it doesn’t take too much effort to deal with, just some trimming every few days. Yes just like the mowers mowing sound level, the alarm is very quiet, in fact you might struggle to hear it when you’re in the house. Of course you’ll still receive text alerts if anything does happen so this isn’t too much of a problem. If your mower is taken out of the working area the text alert you receive could take up to 10 minutes to arrive. As I said these flaws aren’t worth getting worked up about. Yeah they’ll be inconvenient but if you weigh these with the benefits, they really fail in comparison. 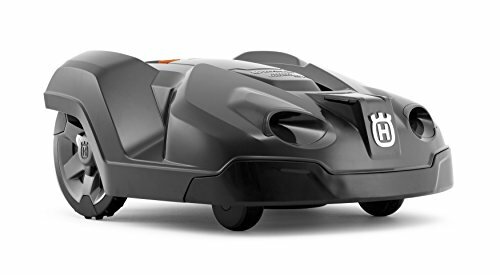 For me the 430X Automower is a fantastic mower, just like every other Husqvarna model I’ve reviewed. But do not take this as bias, they really are just that good. The power system is not only efficient but powerful, the navigation is hardly matched by any competitors and, even though it’s commonly used, the mowing system is the most effective in the market. Husqvarna have done a brilliant job with the 430X, it just goes to show what 20 years’ experience in the market can do for you. I honestly don’t think you can go wrong with this mower and if you have the garden for it, I would not settle for anything less. 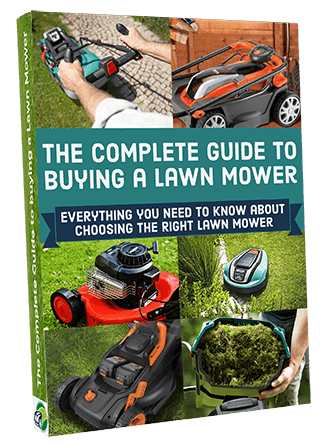 To help you understand if you do have the garden for this mower, keep reading on below. I’ve outlined the characteristics of the 430Xs perfect customer so this should help clear things up and will help you reach a decision. So if after reading that, you think you’re suited to the 430X automower then great! I know you’ll love this mower. Also, if you have any questions about this model or any of the others then make sure to ask me. All I’m here for is to help you so please reach out if you’re a little stuck. I really appreciate the information you provide 430x automower seems the logical way to go. What I appreciate is its robotic nature. I am sure that you will have a lot of people interesting in this one who need this kind of service. I will be sure to tell my neighbor. Great to hear Collin, they really cool how they go about their business, no help from you just leave it to go round itself. Wow, technology sure has come a long way. 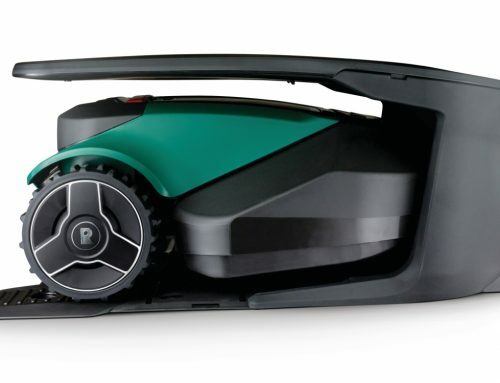 These robotic mowers could save the home owner alot of time. One could be cutting the grass and at the same time be painting the shed,or other house hold chores , etc. With my self propelled mower I find a bit easier then just a regular mower but it still takes time . The 430xs has a lot of goog features. I’m a huskvarna guy myself, they have good gear to work with. Yeah hopefully we’ve not got long to wait before they take over everything! Thanks for the comment Leo, I’m glad you enjoy the review and if you’ve got any questions then please just ask! 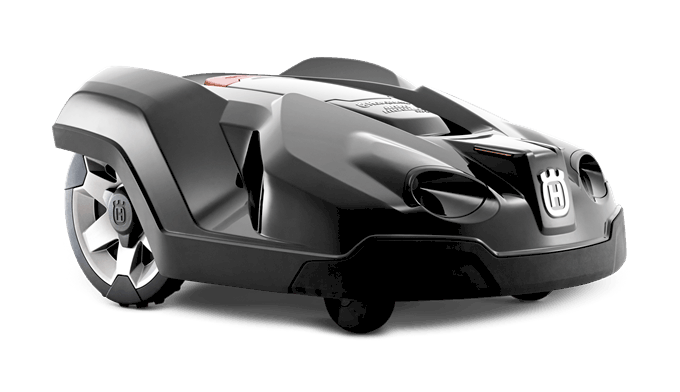 I had no idea that a automatic lawn mower even existed. That sounds to me like there will be a lot of people out of work soon. anyway… Your post is very informative and if i ever plan to buy a lawn mower i now know where to come too for my latest info. Brilliant! I think a lot of people are on the same boat, not a lot of people have heared of them but they are growing in popularity so I’m sure you’ll hear all about them soon enough. In saying that if you want to learn more then there’s no better place to go than here. I’ve got tons of other reviews just like this and I’m happy to help if you have any questions. Hi thanks for such an in depth article, i really found it interesting and very informative. 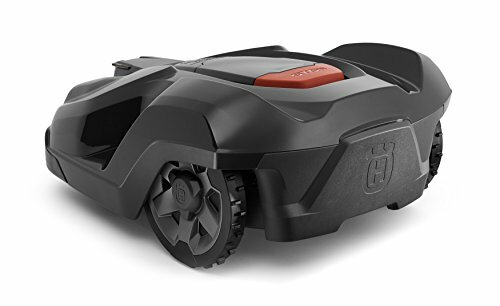 I cant believe how far we have come in the world of robotics, who would have thought of robotic lawnmowers, i am glad they did i find every spring the thought of grass growing for the summer is a nightmare. 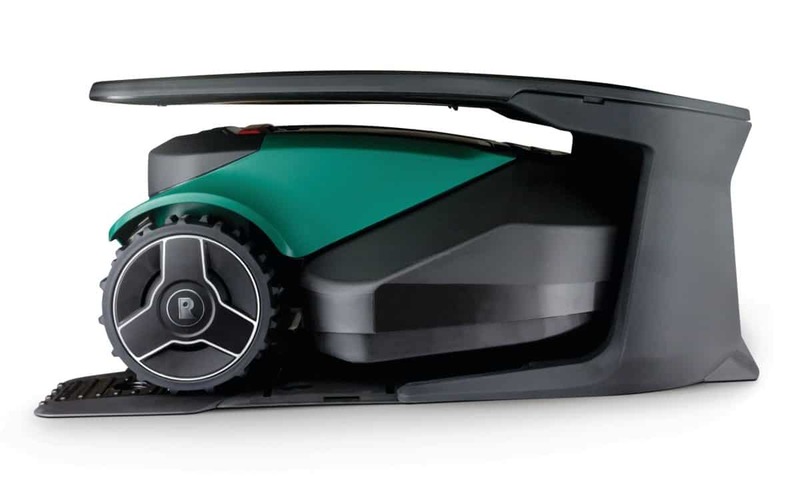 Love the fact that this lawnmower is Eco-friendly, mulching back into the grass, i always have a big mound of grass cuttings at the end of summer, so this 430x Automower is something i am looking into, and thanks to your article i cant wait to get one. Can you tell me if they do other colours? I’m the exact same Gareth! I’ve always dreaded mowing which is one of the reason why I love these robots so much. They really do take a lot of work off your hands. Sorry but all 430X models come in the same base colour (granite grey) however you can change its top cover, which is orange and comes with the terrain kit. I’m glad you enjoyed the review, I know you won’t be disappointed with this mower. If you have any other questions then please ask, I’m here all day and would love to help. I’ve just bought this mower, It’s on its second day, I am so impressed, words fail me. Brilliant Louise, I’m so glad to hear that! Hi There – Thanks for the review. My garden has 3 patches of grass separated with block paved paths creating 3 grass segments, will the mower be able to handle this? Yeah the 430X shouldn’t have a problem mowing them Kho! 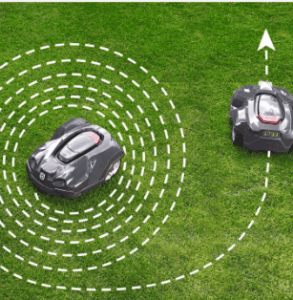 You just need to make sure you install the wire in these areas correctly – which you can learn to do so here: https://easylawnmowing.co.uk/husqvarna-automower-installation-process. If you have any questions about the installation then drop me an email here: mark@easylawnmowing.co.uk. This is my 3rd Husqvarna robot lawnmower. The first was a 330X that died after 2 years and a lot of maintenance. I thought I’d give it a second try and bought a 430X when it came to market. Unfortunately, it had stopped by the road and was picked up and crushed by the municipal trash disposal company the very first day after I installed it. Fortunately, the credit card I used to purchase it had an insurance policy and the card company replaced it. The lesson learned there is, don’t complain about credit card annual fees if the card carries benefits such as loss insurance. The 430X does an excellent job of cutting. Having said that, it is a relatively high maintenance system. I’ve already replaced the cutting motor after only a few months of use. Fortunately, it was covered under warranty. The GPS system is ineffective so I use the guide wire program method to obtain better lawn coverage. The remote app is full of bugs and disconnects and/or crashes routinely. If you have grounds keepers or lawn sprinkler service personnel servicing your property, it’s best to make sure that the boundary and guide wires are buried at least 6 inches (150 millimeters) deep. I have to trace and repair cut wires whenever they edge the beds or the sprinkler company digs up lines that the grounds keepers have cut. Finding wire breaks is not as easy as some make it sound and can be very time consuming. I use the USB port and diagnostic program to troubleshoot the mower. My primary residence is in Florida and I have Zoysia grass. The best cutting results next to a drum type mover have been obtained with the 430X. It gets quite hot here in the summer and pushing a drum mower around can be exhausting. I have a love/hate relationship with the 430X. It all depends on the lawn area and running time that is set for the mower. The battery life of the 430X is around 7,000 charge cycles, or about 5-6 years. So, if you run you 430X for 6 months a year on an area of 800-1000 m², your battery will last around 4-5 seasons. 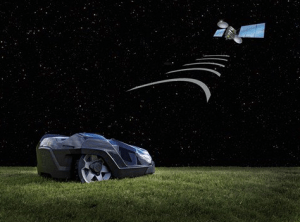 It’s important to set the Automower correctly according to the size of your lawn in order to preserve the life of your battery. Does anyone have first-hand experience of the 430X battery life? Please comment below.